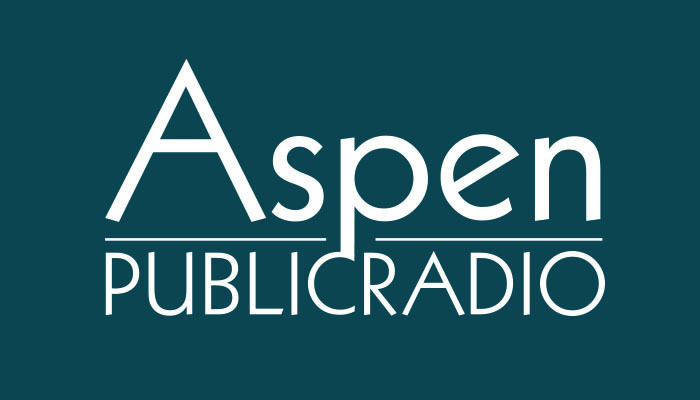 Mary Houchin, Sheila Wills, Lee Mulcahy and Sandra Peirce spoke with Aspen Public Radio about their run for Aspen School Board. Candidate Margeaux Johansson (not pictured) did not return repeated requests for an interview. District funding, teacher housing and school culture are some of the issues candidates for the Aspen School Board are discussing this campaign season. Five people are running for two open seats. Aspen Public Radio’s Marci Krivonen spoke with the contenders. Voters in the Upper Valley will see the school board candidates listed on their ballot. On the same ballot another question asks property owners to approve a tax increase to avoid teacher layoffs, keep class sizes low and maintain programs the community values. "The biggest challenge is the one that everyone always hears about - it’s the financial challenge," says candidate and incumbent Sheila Wills. She's a former teacher turned real estate investor. She says she wants to keep her seat, in part, to continue work the board already started on finding funding for the cash-strapped district. The State has cut the amount it gives districts. The board came up with a three-pronged approach that includes renewal of an Aspen sales tax, help from Snowmass Village and the property tax question - “3A” - on the November ballot. None are guarantees. "We’re going to our voters and saying we don’t want to be that district anymore that comes to you every three years with our hands in the air saying the sky is falling. What we want to do is come to you as responsible caretakers of the district," says Wills. The other incumbent in the race, Sandra Peirce, agrees the financial work she’s done on the board is one reason she’d like another term. "I mean nobody can make a dollar stretch the way we do in this school district. Our kids do so well. They go to good schools. A large part of that is due to our teaching staff. We really are so conscientious about our budget." "I think that there’s been a bit of a rocky patch at the high school for the last couple of years for a bunch of different reasons. I have an interest in looking at the community of culture." A range of issues have led to this rockiness. She says students feel pressure to get into “good” schools, teachers face increased demands from state policies and there’s been a lack of consistent leadership at the high school, with principals leaving after a short time at the helm. "So even if you had a good leader, if they’re not there for a 3 to 5 year period, I think that’s a little unsettling for people," says Peirce. The board did tweak the school’s policy around school culture and Peirce says the newest principal was hired in a transparent way. Candidate Lee Mulcahy says there’s an atmosphere of fear in the district because of school administration. In a campaign ad he promises to put the superintendent “on notice.” He points to an Aspen Times article in May where parents and school staffers declined to be interviewed for a story about resignations and retirements in the district. "Both parents and school staff members contacted for the story declined to be interviewed or quoted for fear that their children or jobs might negatively be affected. To put the superintendent on notice is to say that that situation is not okay," he says. Mulcahy, who works as an artist and taught at one time, wants expanded vocational classes and more honors courses. He also would like to see no school on the Jewish holiday Yom Kippur. "That’s like having school on Easter or Christmas. And I think that that is a problem that we can all agree on and move forward in a positive direction," he says. Candidate Mary Houchin was a long-time teacher. She'd like to maintain small class sizes and continue the district’s academic excellence. Many school programs are on her list to maintain. "The aeronautics, the band, the choir, the plays, the theater, the sister cities, the mentoring, the sports, and more." Finding enough affordable housing for teachers is one challenge in the district. Houchin - who lives in a school-owned unit - says a fix announced by the district in June won’t be the silver bullet. It limits teachers to five years in rental units to make room for new staff in need of housing. "It is definitely something I don’t see going away, but I’m hoping as a whole we can come up with solutions. We need to retain the teachers. I’m worried that if in that five years, if a teacher hasn’t come up with a solution, or someone working in the district, what’s going to happen. Are we going to lose them?" The fifth candidate, Margeaux Johansson, did not return repeated requests for an interview. Ballots are due on November 3rd.